Love farm-to-table? You can’t handle this farm-to-table! (Actually, you can, and you really should.) 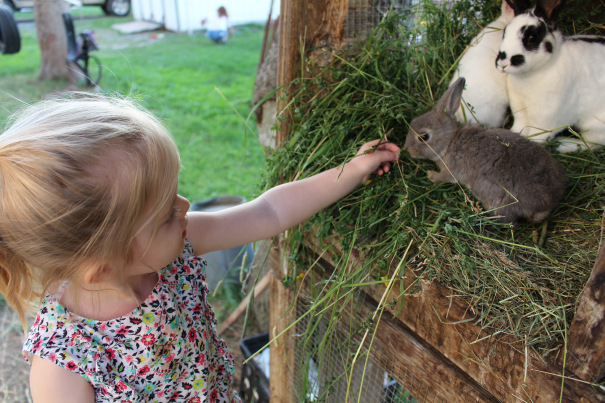 That’s right, we found a super family-friendly vacation at a real, live working farm, complete with pastoral vistas, home cookin’, your own private cottage and more cute animals than you can shake a stick at. 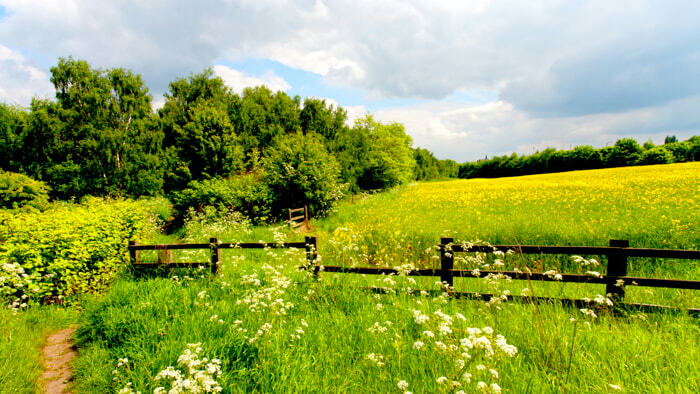 Plus: actual farm work the kids will love. (Your toddler can milk a cow. Need we say more?) Read more. 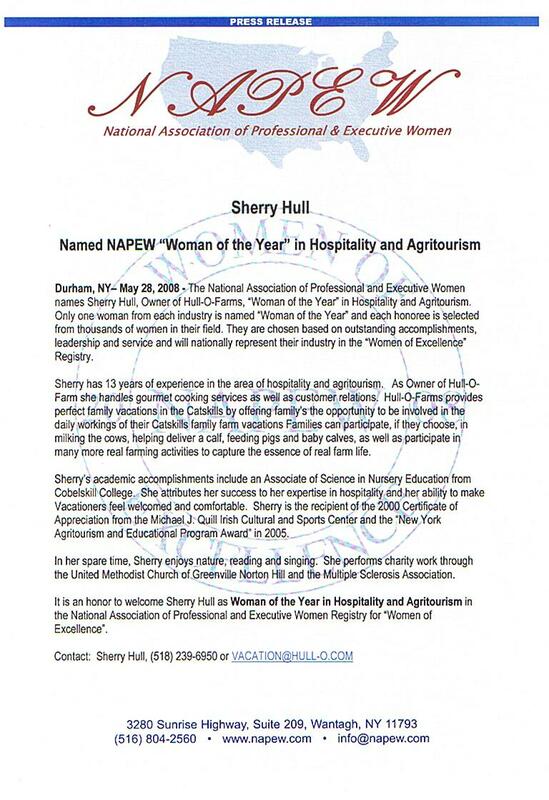 HULL-O FARMS HAS BEEN NAMED ONE OF YOUR 75 BEST FAMILY VACATION DESTINATIONS by Mommy Poppins. 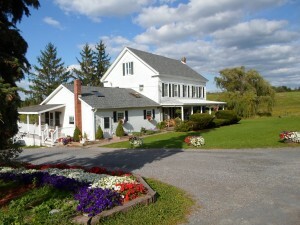 Hull-O-Farms welcomes guests from Memorial Day through October. 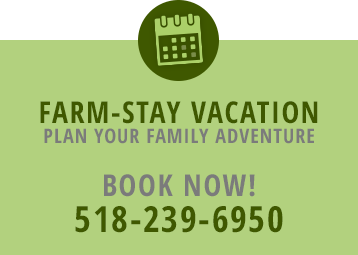 Families stay in one of three quaint private guest cottages. A visit here includes a hearty breakfast and dinner. 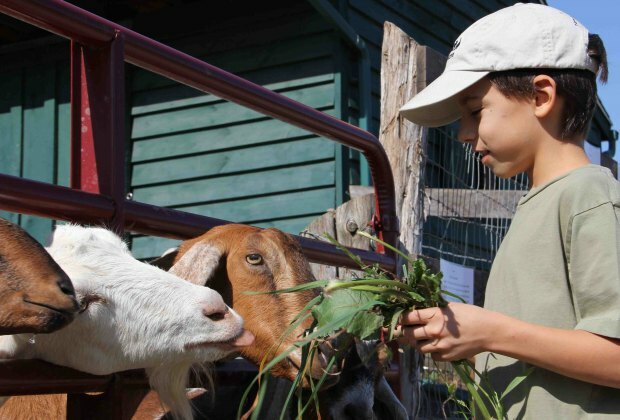 Farm activities include milking cows and nanny goats, gathering freshly laid eggs, learning how to feed the baby animals and mending fences. In season there is a corn maze and hay rides.